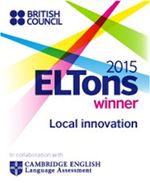 Talk English staff, volunteers and community partners are the proud winners of a British Council ELTon Award for Local Innovation. 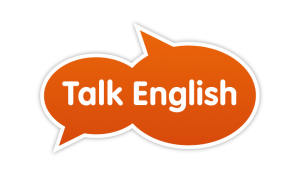 Talk English is a project which aims to help people with little or no English learn English and get more involved in the wider community. Paddock Community Trust was successfully commissioned to deliver a range of activities in conjunction with Kirklees Adult Learning and Manchester Adult Learning. For Learners: Talk English can help you learn English and get involved in the wider community. Learners will improve speaking, listening, reading and writing skills in English. You can meet other people, practise speaking and do something fun and different. Become a Friend – Talk English Friends provide informal support to people learning English, helping them to access services and get more involved in the wider community. Become a Teacher –Volunteer to teach learners on Talk English Courses and help people to improve their speaking, listening, reading and writing skills. Before volunteering you will complete a volunteer induction. Training will be provided to ensure that you get the most from the opportunity. For Business: We’re working with local businesses and public services to increase ESOL awareness with teams of staff and train them as ‘sympathetic listeners’, enabling more people with low levels of English to try out their English in real-life situations and access services. Interested? Or require more information contact the office on 01484 431400 or visit The Talk English Website. The website also includes online ESOL learning resources.